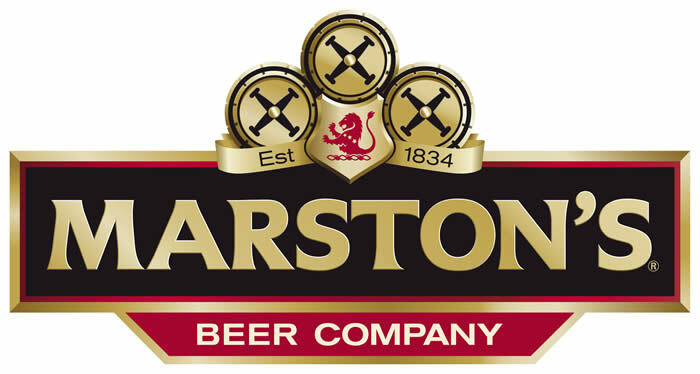 Since 1834 Marston's have been producing beers of the highest quality and taste in the home of British brewing, Burton Upon Trent. We only use the finest natural ingredients and craftsmanship available to produce a range of beers for you to enjoy. We don't compromise and believe you shouldn't have to either. ABV 4.5%: Exceptional premium English ale brewed with traditional varieties of barley and hops (Maris Otter Barley, Fuggles and Goldings hops). Brewed in oak casks to preserve its uncomparable character. Unique in this world, it is still brewed in the oak casks of the Burton Union to preserve its uncomparable character, consistent quality and taste. Many brewers have abandoned this traditional method of brewing over the years due to its extra cost and labour intensive maintenance, which requires a skilled cooper to constantly service the wooden casks. It has been the commitment and belief of each Marston’s Head Brewer to preserve the extra effort that goes into each brew that makes Marston’s Pedigree such an exceptional beer. ABV 4.5%: Great traditional English Stout to pair with oysters. Rich, dark and extremely creamy smooth stout with good character and strength.Traditionally in London at about the time of Dickens, Stout and Oysters were the poor man’s meal, taken as good hearty tasty food. There are no Oysters in Oyster Stout, but the association is well established and you can now enjoy this great tasting traditional English Stout. The unique character of Oyster Stout is brought about by fermentation with the Marston’s strain of yeast. Taken from the Burton Unions, this yeast is very active and gives full attenuation of beer giving a dry clean after-palate. English Aroma Hops, Fuggles and Goldings are added for their fruity, floral and spicy contribution to the taste with the majority of the bitterness coming from the roasted malts. The final result is a rich, dark and extremely creamy smooth stout with good character and strength.